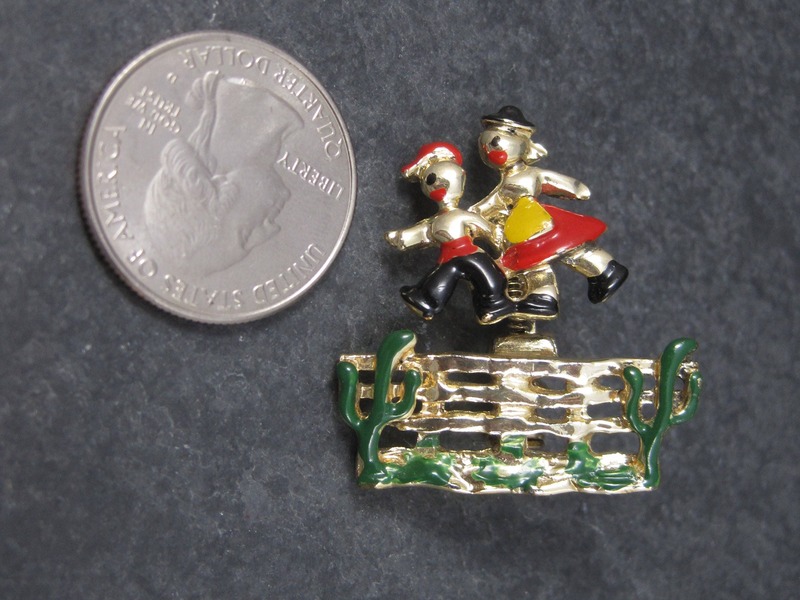 This adorable brooch is goldtone in color with red, yellow, black and green enamel. 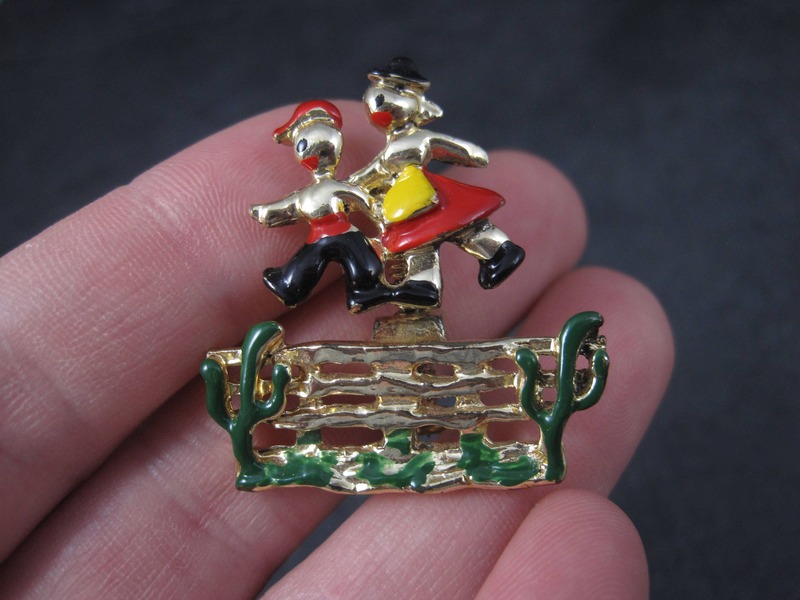 It features a little boy and girl jumping over a fence. 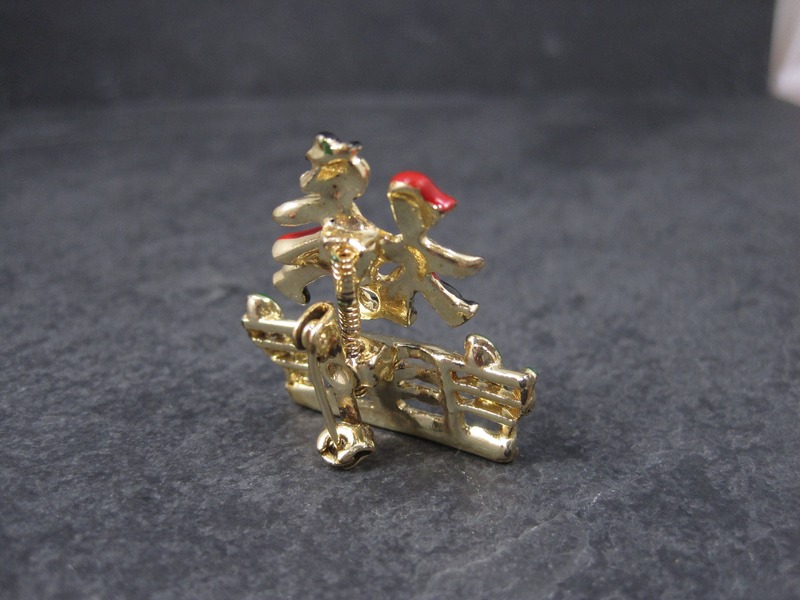 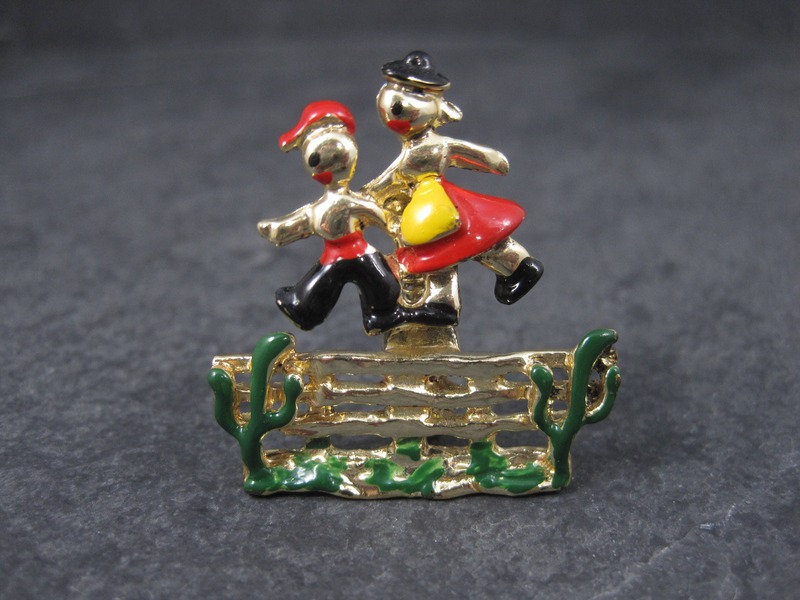 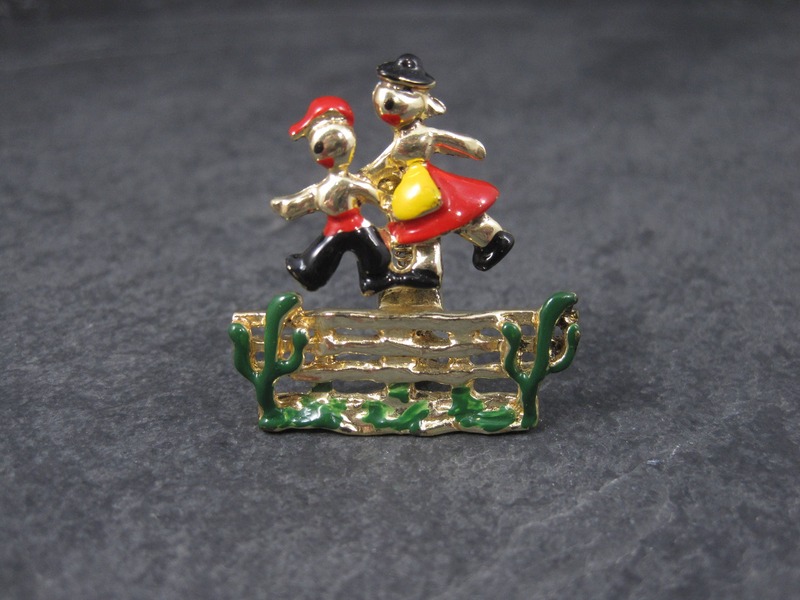 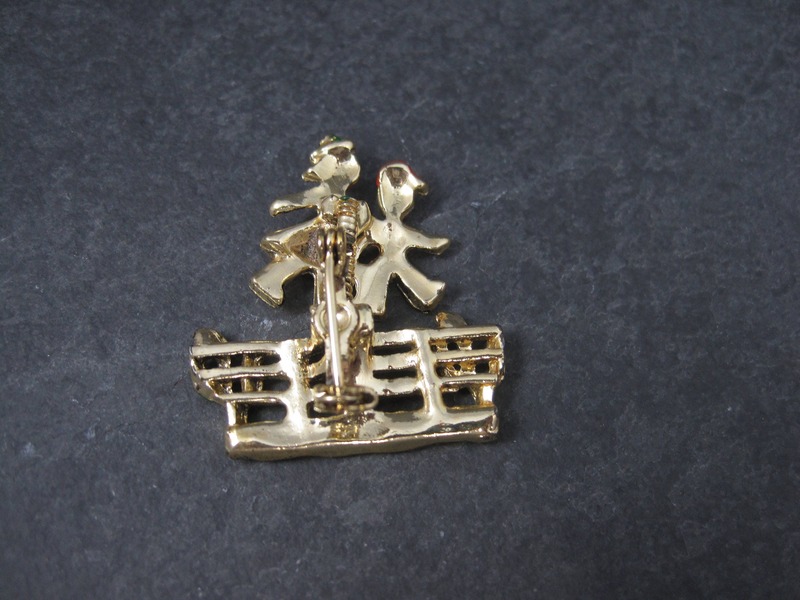 It is a "trembler" style brooch as the boy and girl are on a spring.